Middlesex University Business School hosts the Behavioural Economics Group (BEC:). We run experiments both in the lab and in the field. Our research topics include Cooperation, Altruism, Risk Aversion, Time Discounting, Markets, Bubbles, Beliefs Elicitation, Bank Runs, Social Networks and (Behavioural) Contracts. Based on research output (RePec) we are 8th in the UK. Weekly seminars and workshops take place throughout term–time and we are privileged in having speakers from leading universities such as LSE, Cambridge, Oxford, Rotterdam, Amsterdam or Munich. Brandts, Jordi, Corgnet, Brice, Hernán-González, Roberto, Ortiz Gomez, Jose Maria and Sola Belda, Carles (2018) A ‘threat’ is a ‘Threat’: Incentive effects of firing threats with varying degrees of performance information. Working Paper. Barcelona GSE Working Paper Series. Espín, Antonio M., Reyes-Pereira, Francisco and Ciria, Luis F. (2017) Organizations should know their people: a behavioral economics approach. Journal of Behavioral Economics for Policy, 1 (S). pp. 41-48. Pieri, Fabio, Vecchi, Michela and Venturini, Francesco (2017) Modelling the joint impact of R&D and ICT on productivity: a frontier analysis approach. Working Paper. Universita’ degli Studi di Trento. Kiss, Hubert Janos, Rodriguez-Lara, Ismael and Rosa-García, Alfonso (2016) Financial crisis and panic in the laboratory. In: Experimental Economics II: Applications. Palgrave. Reancharoen, Tipprapa (2016) Trading strategy and behavior of various investor types between spot and futures market: evidence from Thailand. PhD thesis, Middlesex University. Sharipova, Alma (2016) Essays on banking sector performance in the CISs. PhD thesis, Middlesex University. Sooklall, Mamode Faraaz and Hoolash, Bheshaj Kumar Ashley (2016) Analysing the theories explaining the pattern of FDI in China and assessing the impact of such FDI upon the Chinese economy. SSRN . Olatunji, Lateef Ademola (2015) Essays on foreign direct investment institutions output efficiency and economic growth in Sub-Saharan Africa countries (SSA). PhD thesis, Middlesex University. Finavker, Vikram (2014) The effects of derivatives on firm financial risk: an analysis of UK non-financial firms. PhD thesis, Middlesex University. Kabir, Russell (2014) The impacts of cyclones Sidr and Aila on the health of the coastal people of Bangladesh. PhD thesis, Middlesex University. Korzhenitskaya, Anna (2014) The role of credit ratings in determining capital structure: an empirical analysis of UK non-financial firms. PhD thesis, Middlesex University. O’Mahony, Mary, Venturini, Francesco and Vecchi, Michela (2014) Technology, market regulations and labour share dynamics. In: 12th ZEW Conference on the Economics of Information and Communication Technologies, 16 June 2014, Mannheim. Deakins, David and North, David J. (2013) The role of finance in the development of technology-based SMEs: evidence from New Zealand. Journal of Entrepreneurship, Business and Economics, 1 (1/2). pp. 82-100. Kubascikova-Mullen, Jana (2013) Adult numeracy and the conversion to the euro in the Slovak Republic. PhD thesis, Middlesex University. Mustafa, Ghulam (2013) Essays on economic growth and human development in Asia. PhD thesis, Middlesex University, Business School. Rizov, Marian, Pokrivcak, Jan and Ciaian, Pavel (2013) CAP subsidies and the productivity of EU farms. Working Paper. FACTOR MARKETS project. Vecchi, Michela, Rincon, Ana, Venturini, Francesco, Stehrer, Robert, Foster-McGregor, Neil and Pöschl, Johannes (2013) Reducing productivity and efficiency gaps: the role of knowledge assets, absorptive capacity and institutions – Background chapter. Technical Report. European Commission. Vecchi, Michela, Venturini, Francesco, Rincon, Ana, Foster – McGregor, Neil, Pöschl, Johannes and Stehrer, Robert (2013) Reducing productivity and efficiency gaps: the role of knowledge assets, absorptive capacity and institutions. In: Towards Knowledge Driven Reindustrialisation. European Commission. Grahl, John (2012) Vulnerable workers in the eurozone crisis. In: Vulnerable Workers and Precarious Work in a Changing World: Conference, 10-11 Sep 2012, London, UK. Jiang, Chunxia, Feng, Genfu and Zhang, Jianhua (2012) Corporate governance and bank performance in China. Journal of Chinese Economic and Business Studies, 10 (2). pp. 131-146. Huffman, Sonya K. and Rizov, Marian (2011) Body weight and labour market outcomes in post-Soviet Russia [monograph]. Discussion Paper. Middlesex University, London. Wu, Yinghong (2011) Economic impacts of different skilled levels of immigration labour: a CGE assessment for the UK. PhD thesis, Middlesex University. Appadu, Naaguesh (2010) The determinants of the fixed and floating rate debt: a case for UK non-financial firms. PhD thesis, Middlesex University. Onaran, Ozlem (2010) Fiscal crisis in Europe or a crisis of distribution? Discussion Paper. SOAS, London. Onaran, Ozlem (2010) The effect of foreign affiliate employment on wages, employment, and the wage share in Austria. Discussion Paper. 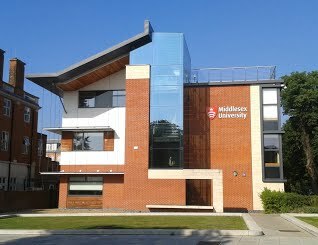 Middlesex University. Onaran, Ozlem and Boesch, Valerie (2010) The effect of globalization on the distribution of taxes and social expenditures in Europe: Do welfare state regimes matter? Discussion Paper. SFB (Research Program International Tax Coordination). Onaran, Ozlem, Stockhammer, Engelbert and Zwickl, Klara (2010) FDI and domestic investments in Germany: crowding in or out? Discussion Paper. Middlesex University, London. Chit, Myint Moe (2008) Exchange rate volatility and exports: the case of emerging East Asian economies. PhD thesis, Middlesex University. Gottschalk, Ricardo and Cirera, Xavier (2008) Millennium development slowdown. Parliamentary Brief . pp. 1-2. Gottschalk, Ricardo and Martins, Pedro (2008) Angola: transitioning from oil-led to broad-based growth. Working Paper. SOAS, London. Hague, Sarah, Gottschalk, Ricardo and Martins, Pedro (2008) Pro-poor growth: the evidence beyond income. In: The Sussex Economics Department and IDS ESRC Development Economics Conference., 17-18 September 2008, University of Sussex. Jiang, Chunxia (2008) Analysis of bank efficiency of Chinese commercial banks and the effects of institutional changes on bank efficiency. PhD thesis, Middlesex University. Liu, Aying, Yao, Shujie and Wei, Kailei (2008) Foreign direct investment and regional inequality. In: UNU-WIDER Conference on South Engines of Global Growth: China, India, Brazil, and South Africa. UNU-WIDER. Mason, G., O’Leary, B. and Vecchi, Michela (2008) La cualification de la mano de obra y su efecto en la productividad relativa: algunas comparaciones internacionales. In: Claves de la Economia Mundial. Instituto Español de Comercio Exterior, Madrid. Wei, Kailei (2008) Foreign direct investment and economic growth in China’s Regions, 1979-2003. PhD thesis, Middlesex University. Gottschalk, Ricardo (2007) Basel II implementation in developing countries and effects on SME development. In: ICRIER- InWent Conference on ‘Financial globalisation and domestic financial sector development in South and Central Asia’., 22-23 November 2007, New Delhi, India. Gottschalk, Ricardo and Sodre, Cecilia Azevedo (2007) The liberalisation of capital outflows in CIBS: what opportunities for other developing countries? In: WIDER Conference on Southern Engines of Global Growth: China, India, Brazil and South Africa (CIBS), 7-8 September 2007, Helsinki. O’Gorman, William J. M. (2007) MNEs and new enterprise creation: Do MNEs have a direct impact on the amount of new indigenous high-tech start-ups in Ireland? PhD thesis, Middlesex University. Onaran, Ozlem (2007) Capital flows, turbulences, and distribution: the case of Turkey. Intervention: European Journal of Economics and Economic Policies, 4 (2). pp. 353-374. Blin, Myriam and Siegman, Karin Astrid (2006) The best of two worlds: between-method triangulation in feminist economic research. Working Paper. SOAS, London. Brookes, Michael (2006) Gender wage differentials and discrimination in the UK and Europe. PhD thesis, Middlesex University. Gottschalk, Ricardo and Prates, Daniela (2006) East Asia’s growing demand for primary commodities – macroeconomic challenges for Latin America. Working Paper. United Nations Conference on Trade and Development. Grahl, John (2006) Bolkestein and the service economy. CLR-GB newsletter, 2 . Gottschalk, Ricardo (2004) The macroeconomic policy content of the PRSPs: how much pro- growth, how much pro-poor? In: 750th Wilton Park Conference on “Economic policy choices for poverty reduction”., 11 – 14 June 2004., Wilton Park, West Sussex..
Grahl, John (2004) The Barker review and the construction industry. CLR Newsletter, 1 . pp. 1-3. Rincon, A. and Vecchi, Michela (2003) Productivity performance at the company level. In: EU productivity and competitiveness: an industry perspective. Can Europe resume the catching-up process? Van Ark, Bart and O’Mahony, Mary, eds. Office for Official Publications of the European Communities, Luxembourg. Bevan, Alan, Falcetti, E., Mitchell-Thompson, V., Steves, F. and Rizov, Marian (2002) Agriculture. In: EBRD Transition Report 2002: Agriculture and Rural Transition. EBRD, London, pp. 75-87. Grahl, John (2002) Financial transformation and social citizenship in the EU. Working Paper. EUI, Badia Fiesolana. Grahl, John and Bhopal, Mhinder (2002) Comparative employment systems. London Metropolitan Business School. Kebede, Ephraim (2002) Trade liberalisation, openness and economic growth in less-developed countries. PhD thesis, Middlesex University. Rizov, Marian (2001) Capital structure theory and its practical implications for firm financial management in Central and Eastern Europe. EMERGO Journal of Transforming Economies and Societies, 8 (4). pp. 74-86. O’Regan, Nicholas (2000) The relationship between culture, leadership, strategic planning and performance in small and medium sized enterprises. PhD thesis, Middlesex University. Gottschalk, Ricardo (1999) The real stabilisation plan: going beyond credibility. In: The XVII Latin American Meeting of the Econometric Society, 2-6 August, 1999, Cancun, Mexico. Nikolaidou, Eftychia K. (1999) Defence spending and economic growth: a case study of Greece and comparison with Spain and Portugal (1960-1996). PhD thesis, Middlesex University. Wang, Ping (1999) Econometric analysis of exchange rates in East Asia. PhD thesis, Middlesex University. Cowling, Alan George (1977) Studies in a local labour market with special reference to pay and wastage. PhD thesis, Middlesex Polytechnic. The Department of Economics at Middlesex University London holds weekly seminars during the academic year (October to June) where renowned speakers are invited from all over the world. Seminars are also frequently announced on be-events, and take place every Wednesday at 12:30 p.m. Feel free to contact the organiser for further details! 04/02/2014 Marcelo Sartirelli (Alicante): “The Price of Leadership:an Experiment’. 27/02/2014 Ioannis Bournakis (MDX: “Government Size, Institutions andExport Performance Among OECD Economies. 06/03/2014 Iryna Sikora (Universidad Alicante) “Creative production and exchangeof ideas: an experimentdz. 1/09/2012 Prof. Frank Skinner, Brunel University, “The choice among non-callable bonds and make whole, claw back and other wise ordinary callable bonds”. 12/03/2013 Prof. Enrique Fatas, University of East Anglia, “The consistency of social behaviour”, Room C113. 14/05/2013 Carlos Cueva, Cambridge University, “Financial market instability: myths and truths”, Room C128. 11/06/2013 John Morrow, London School of Economics, “Productivity As If Space Mattered: An Application to Factor Markets Across China”, Room CG41, 12:30 – 14:30. 18/10/2011 Dr Felix Ritchie, Office for National Statistics, ‘Incentive compatibility in data security’. 25/10/2011 Qiao-Yuan Lin, Middlesex University, ‘Global peace index: an alternative analysis’. 08/11/2011 Prof. Robert Wright, Strathclyde University, ‘Chasing graduate jobs’. 22/11/2011 Prof. Robert Hart, University of Stirling, ‘Job spells versus employer spells in real wage determination’. 14/02/2012 Dr David C. Broadstock, Southwestern University of Finance and Economics (China) & Surrey Energy Economic Centre, ‘Are direct rebound effects time varying? Evidence from US transportation’. 21/02/2012 Dr Michael Brookes, Middlesex University, ‘Labour Market and Social Inequities in South Africa’. 24/04/2012 Dr Rebecca Riley, National Institute of Economic and Social Research, ‘Intangible capital and economic performance: evidence from UK companies’. 05/06/2012 Ghulam Mustafa, Middlesex University Business School, ‘The comparative growth experience of South Asia, East Asia and China’. 26/06/2012 Dr Bettina Becker, Loughborough University, ‘Measuring convergence using a common factor approach’.